Wilson said Ireland batsmen will have to find a way to play the Indian spinners better. Indian cricket team skipper Virat Kohli wants his side to be flexible in the next few T20 International matches against Ireland and England so that they can “surprise the opposition” by experimenting with his middle order. In the first T20I match of the two-match T20I series against Ireland, a number of changes were witnessed as captain Kohli pushed himself to number six, all-rounder Suresh Raina came to bat at the number three and wicket-keeper batsman Mahendra Singh Dhoni at number four. “It presents the opportunity for the batsmen who couldn’t get the opportunity to bat. The guys who couldn’t get a chance today will get an opportunity in the next match. The guys had a great time in IPL but they need to get time in the middle here too,” Virat Kohli added. The 29-year-old cricketer also further assured his players that everyone in the squad will get a game. “The team management decided to give a go to everyone in the squad. The guys are fine with this decision. We are looking to give everyone game-time and want them to portray the qualities they possess because many guys go on tour and never get an opportunity to play,” said Kohli. “The opening combination was excellent. The last over bowled by Ireland was terrific. Great effort by Rohit and Shikhar to put us in a good position. And good strikes from MS, Raina and Pandya in the end. 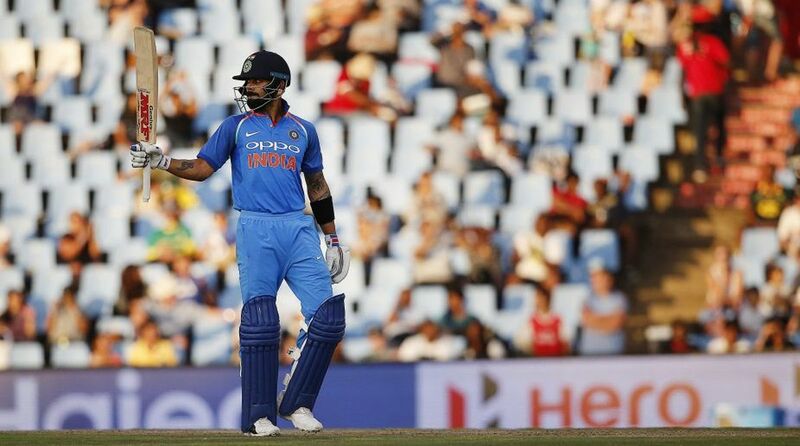 Bowlers did a clinical job too,” Kohli added. Once again, India’s spin-twin Kuldeep Yadav and Yuzvendra Chahal shined in the first game, as they took four and three wickets, respectively. Speaking to media, Irish captain Gary Wilson said Ireland batsmen will have to find a way to play the Indian spinners better. “They are a world-class side and their lads at the top played beautifully. I expected it to be a good wicket, I did not expect it to spin as it did in the second innings. We could have bowled spinners in the powerplay,” Wilson said. “You can always do things differently when things don’t go your way. We are going to have a chat to tackle their spinners. James Shannon (opener) had a good match so that is one positive we can take from this match,” he concluded.